Join the discussion on our forums! 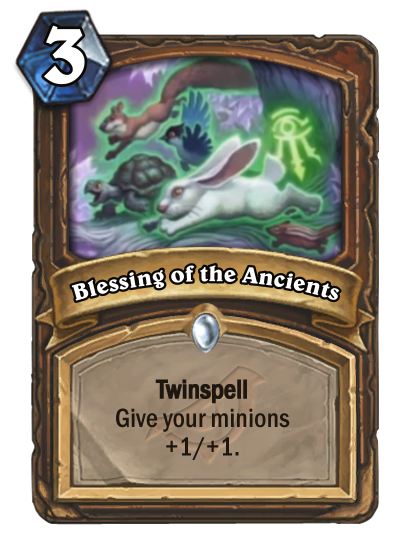 Come discuss Blessing of the Ancients over in our dedicated Blessing of the Ancients discussion topic. Twinspell. Give your minions +1/+1. Art gives me MTG vibes. Way better than it looks. You play it as a 3 mana Mark of the Lotus, then after your stuff doesn't die because you buffed it, you play it again the next turn and seal the game. The cost feels prohibitive but past turn 4 what were you going to do with the rest of the mana? Overextend into a board clear?